Cox Communications, better known for their cable television service, has been slowly implementing their own wireless network for some time now. But, as of today, they're already in the process of shutting it down. 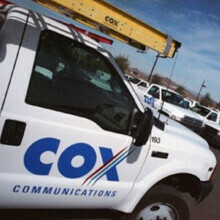 Like other cable providers, Cox had been toying with the idea of offering a 'quadruple play', which would include TV, home phone, Internet, and wireless service, at a discounted rate. But it seems the prohibitive cost and seemingly impenetrable market have killed their plan. Wireless spectrum alone costs billions of dollars, and cell sites and marketing make the cost unfathomable for most companies. So Cox, like other wireless wannabes, is returning to their original plan to piggyback phones on Sprint's CDMA network. Competition from an up-and-coming wireless carrier like Cox would increase competition, save customers money, and drive the device market. And, while Cox isn't exactly a small operation, it's that type of competition that will suffer from the AT&T/T-Mobile merger. We fear that we might be hearing about many more shutdowns in the coming years. I am a cox wirless employee.. The wireless service is NOT shutting down. The network we were buliding that was our own we have put on hold for the moment. We were already partnered with Sprint and now are using their network while we finsh up on our own network.